Govern your organisational knowledge effectively with Invotra Distributed Publishing. Enable three-stage review from Author to Editor to Publisher. Structure your data into hierarchical site sections. 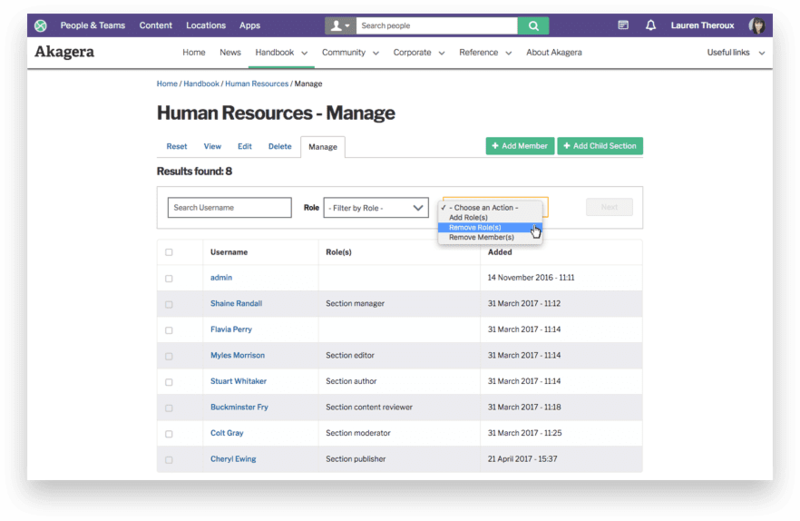 Then cascade permissions from your onboarding team to individual section owners and outwards through your organisation. Each user can be assigned appropriate permissions to match his or her needs for publishing and review, in their area of speciality. Designed for governance in large organisations, distributed publishing will enable evolution in your organisation. Share publishing roles throughout your workforce with three stage publishing reviews from Author to Editor to Publisher. Distribute the information and knowledge in your organisation sensitively and effectively, using Invotra’s Distributed Publishing. Use a decentralised publishing platform, where publishing teams can alter and make improvements to content with simplicity and ease. Assign out publishing roles within individual site sections to share publishing responsibilities. Access to the In Place Editor, for site section managers to alter and make improvements to the layout of their own site sections. 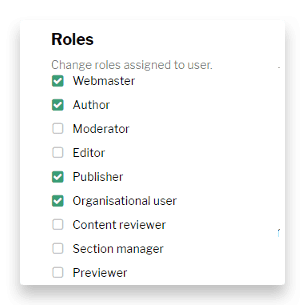 Control the membership and roles of each site section. Allow appropriate roles to maintain and update each individual site sections.